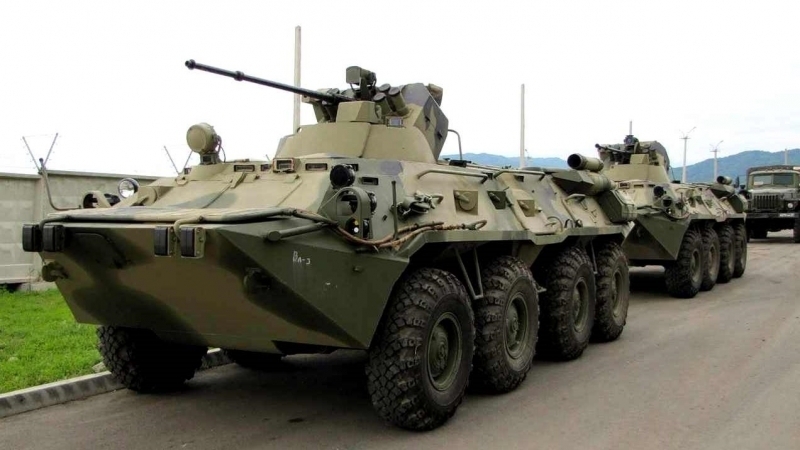 May 5, in the Russia-occupied Crimea military equipment was driven to the city of Sevastopol to participate in the parade commemorating Victory Day on May 9. A video appeared in the social networks, showing the movement of about 30 different units of military equipment, including T-72B3 tanks, BTR-82A and BTR-80 armored vehicles, the Bastion coastal missile system, mobile on-shore complexes for the air and surface reconnaissance tasks "Monolith" and "Mineral" launchers of the S-400 air defense complex, the Pantsir anti-aircraft missile system, the towed Msta-B and D-30 howitzers, the Grad M rocket launchers, the KAMAZ-63968 Typhoon, armored cars "Lynx" and "Tiger". Earlier it was reported that Russian invaders organized an exhibition of military equipment in Sevastopol, where they presented the S-400 Triumph anti-aircraft defense system and the Pantsir-S1 anti-aircraft missile and gun system. At the exhibition, the invaders also brought radar systems, satellite communications systems and command and staff vehicles.